You knew this was coming. You knew that, sooner or later, you’d see Frozen on Disney Cruise Line. This summer, on select Disney Magic and Disney Wonder sailings to Europe and Alaska, Queen Elsa takes over and transforms the ship into a winter wonderland for one day of frozen fun. I think this is actually a great idea for sailings to the colder climates. It’s definitely more fitting than a Pirate night and sounds like a lot of fun. I have a feeling that chocolate fondue will be served during the Frozen dining experience. And I’m really hoping that my kids only take on Elsa’s magical powers temporarily. I really don’t want to have to send any of my kids to a special school to learn to deal with their Frozen Powers. 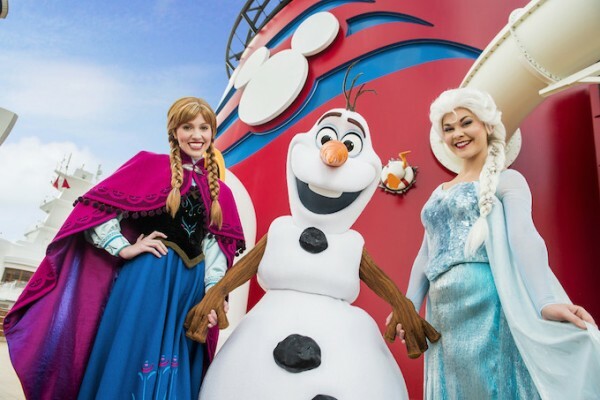 Also on the Disney Magic this summer, friends from “Frozen” will make their stage show debut at sea in the Walt Disney Theatre aboard the Disney Magic. In the Disney Cruise Line original production, “Disney Dreams … An Enchanted Classic,” Anna, Elsa and Olaf join the line up of beloved Disney characters who together teach a young girl the power of her dreams. I’m not sure which other characters got bumped from the lineup in order to accommodate the trio from Arendelle, but I’m hoping it’s not the Blue Fairy. Here’s my favorite Frozen addition: Guests who travel aboard the Disney Magic to Norway will have the opportunity to join exciting new Port Adventures that bring the fairytale setting of Arendelle to life. One signature adventure ashore in Ålesund, Norway, created exclusively for Disney Cruise Line, will immerse Guests in the splendor and charm of Norway, with the help of Anna and Elsa, in an enchanting storybook village. 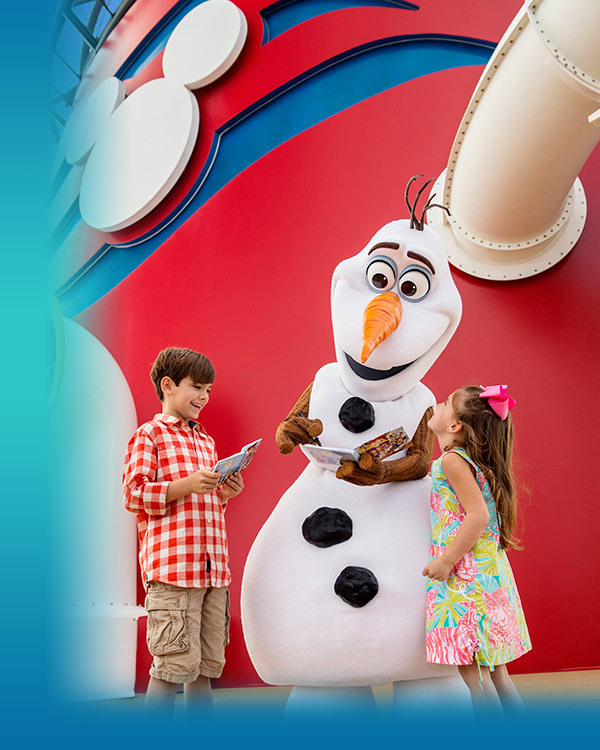 On the Disney Magic, Disney Wonder, Disney Dream, and Disney Fantasy this summer, Olaf will be giving warm hugs when he joins Anna and Elsa on their royal tour of the Disney Cruise Line ships. This Frozen Meet & Greet is expected to be so popular that you’re going to need tickets for it! Guests should check their Personal Navigator on the first day of their cruise for special Meet & Greet ticket distribution locations. And, as proof that even a snowman’s dream can come true, Disney Cruise Line is cooling down Disney Castaway Cay with the addition of Olaf’s Summertime Freeze bar. Serving non-alcoholic specialty frozen drinks, Olaf’s Summertime Freeze opens summer 2015 near the Pelican Point tram stop by Disney Castaway Cay Family Beach. Do you want to experience the fun of Frozen on Disney Cruise Line? This entry was posted on January 28, 2015 at 8:02 am and is filed under Disney Cruise, Disney News, Disney Vacation Planning. You can follow any responses to this entry through the RSS 2.0 feed. You can leave a response or trackback from your own site.